Cramped and damp spaces, eerie echos, nothing but pitch black… caves can be pretty scary places, though never more so than at Halloween. To celebrate the holiday of all things spooky and scary, Horne Lake Caves has lined up some fun that’s guaranteed to frighten the headlamp right off your head! For thousands of years, some cultures have believed caves to be the gateway to the spirit world. Hollywood has since only added to the myths and terror of these unknown spaces. While there isn’t really anything to truly be afraid of, there’s nothing like having a little bit of fun this Halloween. Those who dare can visit Horne Lake Caves each weekend during October (after Thanksgiving weekend) to join the Ghost Story Tour and hear terrifying tales from within the caves’ dark walls. The main cave will be ready to welcome you with a collection of flickering jack-o-lanterns to light the way. When: Each weekend after Thanksgiving until the end of October. The 90-minute tours depart each Saturday and Sunday at noon, 2:00 p.m. and 4:00 p.m. Remember to dress warmly and wear sturdy shoes. Those not wishing to join the tour but instead only want to visit the jack-o-lantern display in the main cave can do so for a small fee ($6 for adults, $4 for children). However, as a bonus, if you bring a carved pumpkin to add to the display, Horne Lake will waive your admission to this cave. October is expected to be a busy month at Horne Lake Caves, so they suggest reserving a spot by calling (250) 248-7829. For more information on Horne Lake Caves, the Ghost Story tours and their full schedule, visit the official website. 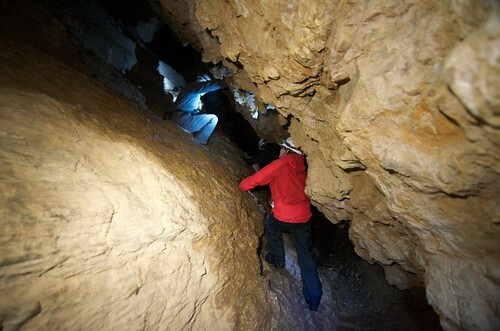 You’ll also find Horne Lake Caves on Facebook and Twitter.